Hi everyone! 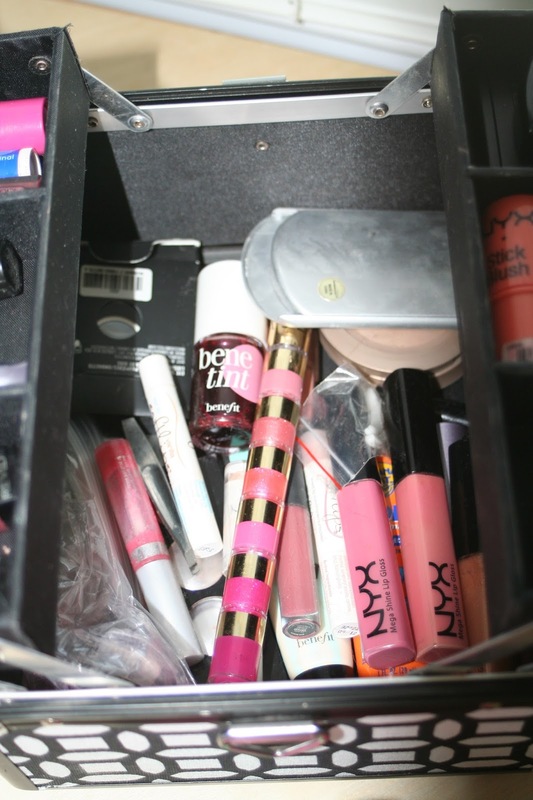 Makeup is often hard to organize efficiently without wasting too much space. Today I'm going to show you how I organize my makeup! It works really well for me. This case is from PBteen. It is no longer available, but there is a similar here. It is the perfect size for my amount of makeup. This case has really good organizing space. 1) Use one side for face makeup and one side for eye makeup. This keeps it separate and easy to find and access your products, because they are all in plain sight. This is the entire organizing space of the case. You can see that there are lots of compartments and places to put your products. 2) Have a place for everything, that way it is easy to cleanup and put everything away. Here's a closeup of one side of the organizer. 3) Keep like products together. As you can see I put all my lip products together. 4) Find where your products fit best. 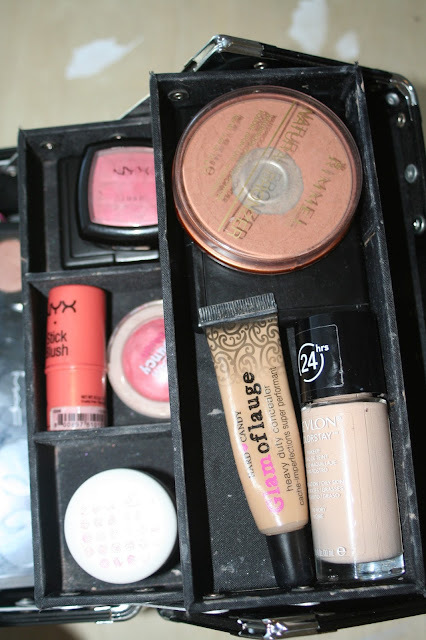 My blushes fit perfect in the small compartments and my face products fit better in the large compartments. It's important not to smash products in places they don't fit. The bottom compartment is where I keep my bigger products and the things I don't use as frequently. 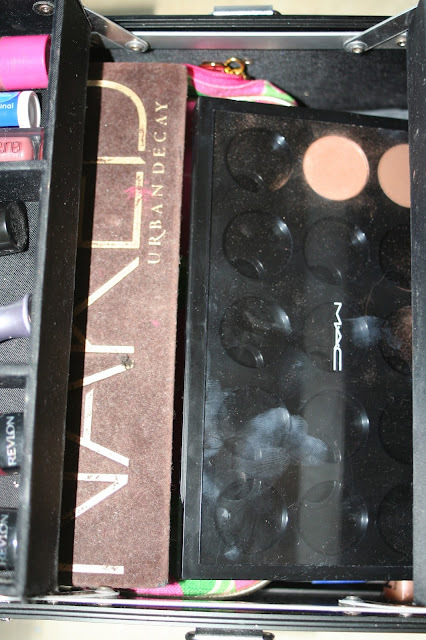 5) Layer things that aren't used frequently, because there is no way to keep everything out in the open, so I put my palettes on top that I use everyday. Then I have my makeup bag. 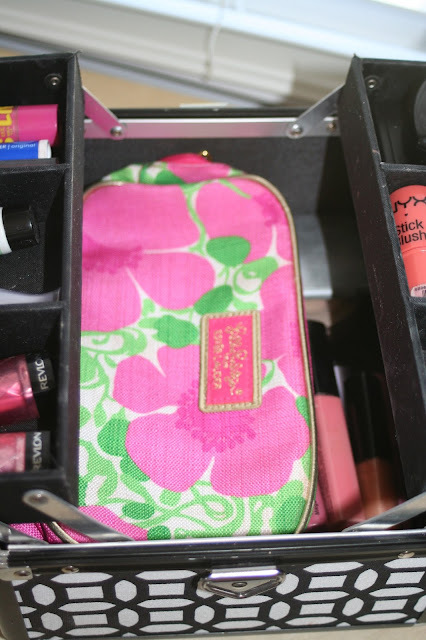 6) Keep your makeup bag in your storage area, so that when you need to pack to go on vacation you can easily and quickly access it. Finally on the very bottom I have my lip products and other products not used frequently. 7) Have a dump area for products that you don't need daily access to. 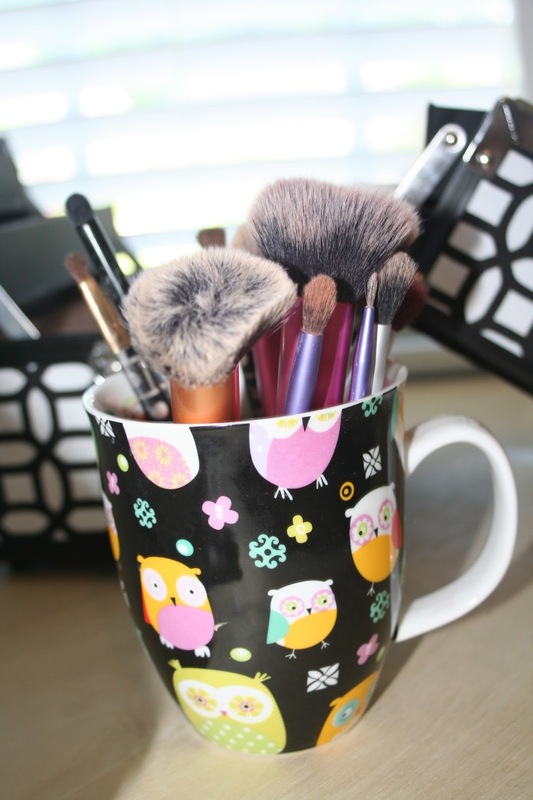 I love the design of the outside of this makeup case plus how cute is the cup I keep my makeup brushes in. Here are my makeup brushes. 8) Store makeup brushes in a cup, because it gives you easy access to them without smashing the bristles. I hope this gave you guys some ideas to better organize your makeup. Stay Connected With Me: Instagram, Pinterest, Twitter. Hi Ali! Thank you and I will definitely check out your site! What’s on my Summer Wish List?